Isle of Skye Yachts offer a varied selection of boats for your holiday so you are sure to find something to your taste. 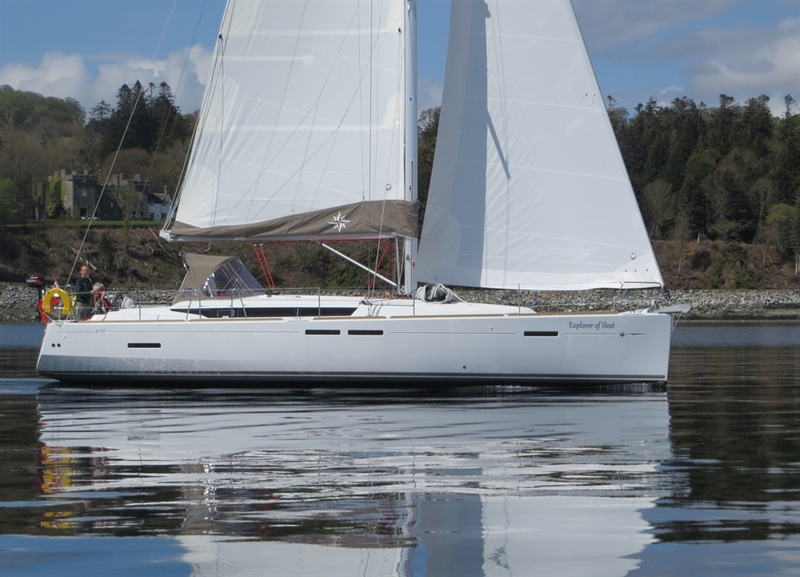 Isle of Skye Yachts offer the opportunity to sail in one of the best cruising areas in the world. 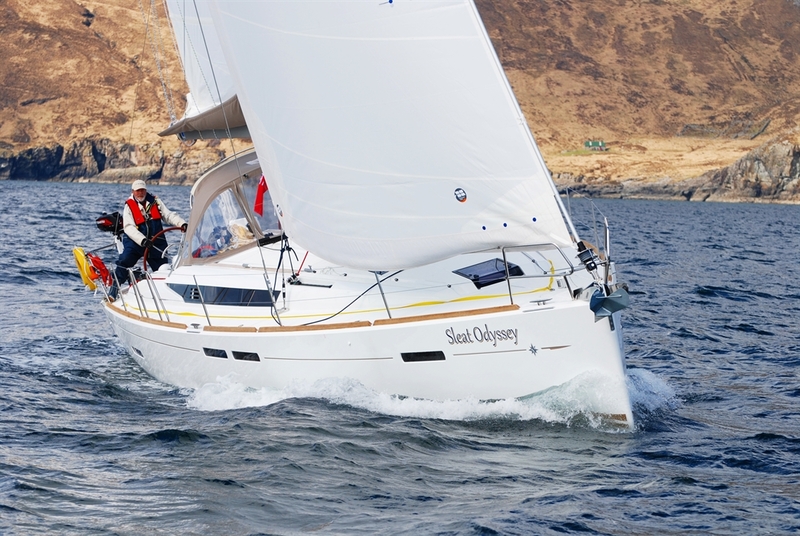 Isle of Skye Yachts offer Bareboat and Skippered Yacht Charter as well as a range of support services to visiting yachts and Corporate Charters. The Company have an excellent reputation built up over a number of years and have won several Awards including the 2013 SCDI Crown Estates Award for One to Watch Award for Excellence in a Marine Business and have recentlybeen nominated in the Best Outdoor/Adventure Experience category for the 2016/2017 Scottish Thistle Awards. Most charters run on a weekly basis commencing on Friday or Saturday (see price list for details), but other days can be arranged, particularly at short notice. There are often Special Offers available for Mid and Low season dates or for bookings at short notice. Starting your charter holiday from the Isle of Skye leads you into the heart of one of the best cruising areas in the world. Most people visiting for the first time for a one week holiday would plan a circumnavigation of Skye if the weather is appropriate. The fact that you can sail around the island limits the need to set off in one direction and then have to return the same way. There are endless destinations to choose from in the Inner and Outer Hebrides, Small Isles, Skye itself and the remote and dramatic North West Mainland of Scotland. All boats are fully equipped with safety equipment to Charter Standard Category 2. Central heating, chart plotters, showers, Navtex, DSC radios and autohelm are available on each boat and included in the price. The company is based at Armadale/Ardvasar on the Isle of Skye. When you arrive to board your yacht for your holiday it will be on one of our moorings in Armadale Bay. The Company has a boatyard, workshop and office facilities at Ardvasar about ½ mile away – this is where most of the yachts live during the winter. There has been a successful yacht charter operation at Armadale since the 1975. It is now a Limited Company run by hands on Directors Mark and Charmian Entwistle and a dedicated staff team. As experienced sailors themselves they do everything possible to ensure that your charter or course will run smoothly from start to finish. Their attention to detail is excellent and there is an broad range of services available to customers. Whatever your requirements just ask for more information and they will help you if at all possible. The company offers a variety of services to visiting yachts including moorings, gas, diesel and minor repairs. Showers are available at the boatyard for all visitors. Details of all the yachts available can be found on the website www.skyeyachts.co.uk and there is a selection of possible itineraries to choose from to whet your appetite. If you would like more information about any aspect of planning a holiday with Isle of Skye Yachts then we will be delighted to hear from you. Armadale (IV45 8RS - remember that most SatNav's by default will route you via the ferry) is at the end of the main road (A851) down Sleat and is the terminus of the ferry route from Mallaig on the mainland. Armadale and Ardvasar are adjacent villages. Our boats operate from moorings in Armadale Bay immediately next to the Ferry Pier, and our Boatyard and Office facilities are 1/2 mile away in Ardvasar. Our Pontoon,Boarding and Car Park facilities are at the private pier below the Old Youth Hostel. By plane - The nearest airport is Inverness, which is served by flights from London Gatwick and Luton (Easyjet) and Heathrow (British Airways). There are direct international flights to Inverness from Amsterdam and Zurich (Charter).See the Airport Website for more information on routes and the Airlines which serve them.. We can arrange for the picturesque 2.5 hr road transfer from Inverness by car or "people carrier" for up to 8 people and it is usually possible to include for a provisioning stop at Tesco en-route. From Glasgow International Airport you can get the shuttle bus to Glasgow Queen Street Station and the train to Mallaig. Prestwick Airport is a little further away and a same day transfer by public transport is not usually possible, so consider routing via Inverness as above. From Edinburgh Airport take the train or bus to central Glasgow and proceed as above. The Airport to City Centre/Parkway Rail station is now served by the tramway. If you require further details of flights, transfers etc. then please contact us before booking especially if your proposals mean you arriving after 17.00 or needing a very early departure on the last morning. By car directly, over the Skye bridge at Kyle of Lochalsh or by the relaxing and scenic ferry crossing from Mallaig. The A830,"Road to the Isles" is now a smooth and picturesque journey.Both routes take the same time (about 2.25 hrs.) from Fort William. Allow a minimum of 4.5 hours total driving time from Glasgow, 2.25 from Inverness. If you want to bring the car and all your gear right to our pier then this is probably the best way to travel. By Ferry, The ferry timetable is complicated by tidal constraints on the vessels serving the route. You therefore need to check for a individual timetable for the date(s) that you will be travelling. To bring a car across it is essential that you make a reservation. If we know that you are coming on the ferry at/after the designated boarding time as a foot passenger our launch will pick you and your luggage up directly from the ferry pier and take you straight to your yacht.